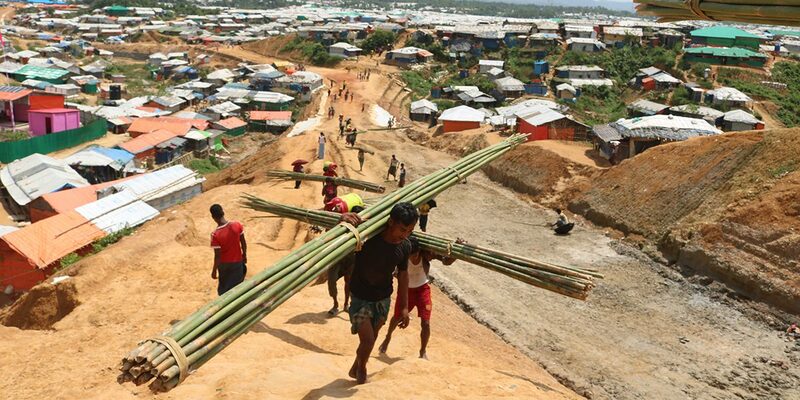 With its close proximity to Myanmar, Bangladesh has become a destination for Rohingya refugees fleeing religious and ethnic persecution at the hands of the Burmese security forces. At the end of 2017, an estimated 800,000 Rohingya fled to Bangladesh over the course of five months. 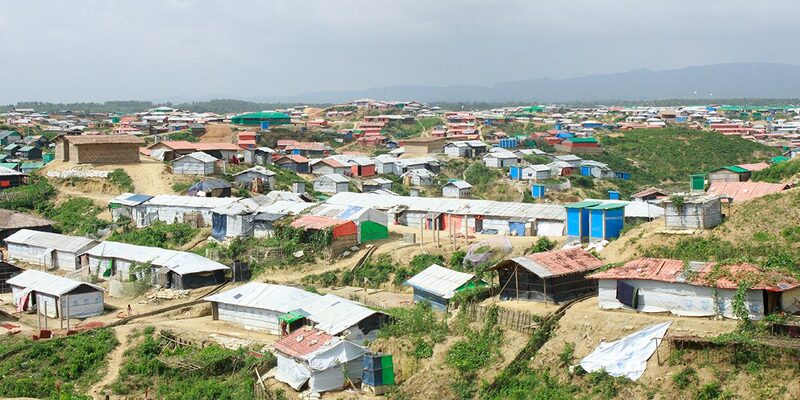 These men, women, and children live in a series of camps and makeshift settlements in Cox’s Bazar. As of September 2018, JRS is working to support Caritas Bangladesh with the setup and management of six Child Friendly Spaces (CFS) in Cox’s Bazar. Five new CFS are approved and constructed. The recruitment of staff and admission of children will take place in October 2018. These spaces provide Rohingya children with a safe haven: somewhere they can acquire informal learning and psychosocial support. 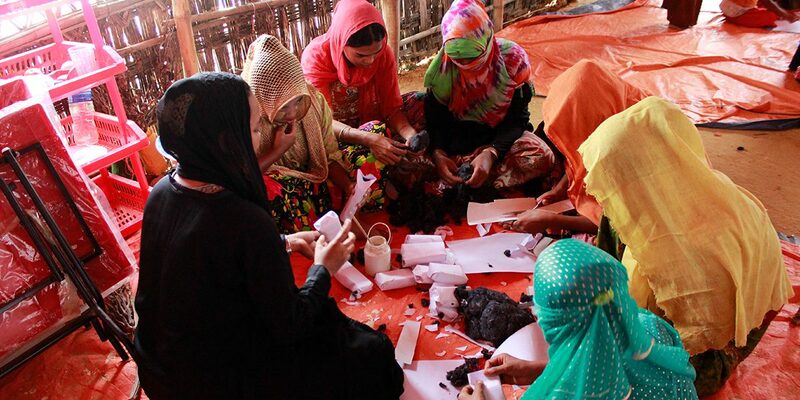 Teenage girls making handicrafts for younger children in the Child Friendly Spaces (CFS) of the Kutupalong refugee camp.